I’ve worked on projects tracking birds where we get movement data via satellite tags in near real time. Still, by the time the data is transmitted, processed, and uploaded to computers, typically more than an hour or two has passed. 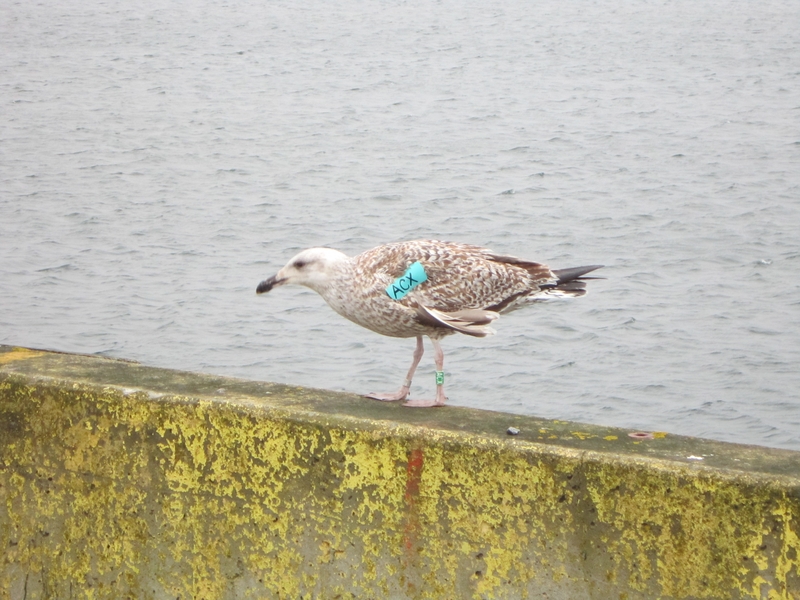 Today I got a near “real time” reporting of a location from a wing-tagged gull!!! Within 42 minutes of being spotted on Falls Point Wharf in Woods Harbour, NS, a DFO Fisheries Officer had emailed me a picture of Black-backed Gull ACX. Fisheries Officers of the Barrington Detachment found this bird wandering the wharf yesterday. Thanks for the report and photo. A first-year Great Black-backed Gull wanders the wharf in Woods Harbour, NS.